Trying to decide between an inflatable hot tub and a regular, hard case hot tub? In this blog we look at the pros and cons of both to help you decide which might be best for you. Perhaps the main plus point of an inflatable hot tub is that the initial investment is much lower. 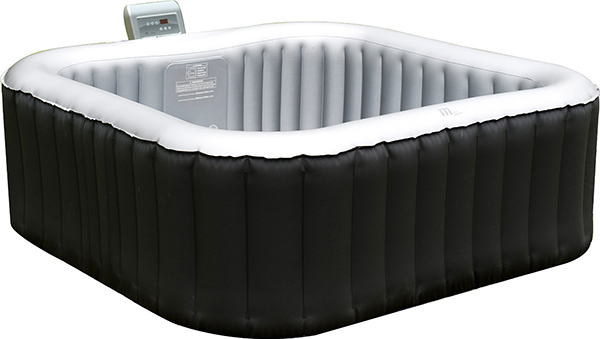 Inflatable hot tubs deflate and are therefore easy to move and transport. You sit on the floor in an inflatable hot tub, similar to a paddling pool, rather than a hard hot tub. Some inflatable hot tubs do have jets, but these are air jets at the bottom of the tub providing a bubbly experience, rather than a targeted hydromassage. Inflatable hot tubs do not have much insulation, therefore they take much longer to heat up and can’t maintain their heat between uses. This means you have to plan your hot tub sessions further in advance and you’ll use more electricity to heat it up. A big pro of a regular hot tub is that they have built in seats and loungers, providing more comfort. Targeted massage jets such as the HotSpring moto-massage provide superior hydromassage, enhancing relaxation and increasing the quality of your hot tub experience. HotSpring hot tubs are designed and built to last. Unlike inflatable designs, which can puncture, you can expect many years of enjoyment from a hard HotSpring hot tub. The running costs of a HotSpring hot tub are generally lower, thanks to the energy efficient features. Quality insulation keeps heat in meaning less electricity is used to heat the hot tub up. The initial investment is higher, but depending on your hot tub usage may still be more economical in the long run. If the cost is prohibitive, consider an ex-display or second hand hot tub. Traditional hot tubs can be moved, but it requires more planning than an inflatable. 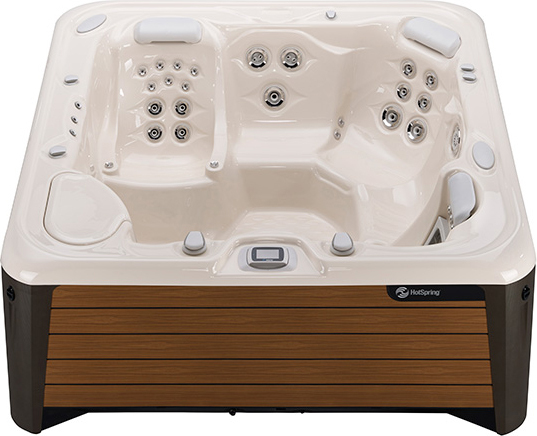 The best hot tub for you will depend on your requirements – for those looking for long term, energy efficient hot tub that’s built to last, that provides superior hydromassage and comfort – traditional hot tubs can’t be beaten. If you’d just like to try out a hot tub style experience in the short term then an inflatable hot tub might meet your needs. If you’re still unsure, why not visit one of our show rooms and arrange a test soak?